Rampant City have now scored 33 goals in their last five home games in all competitions. 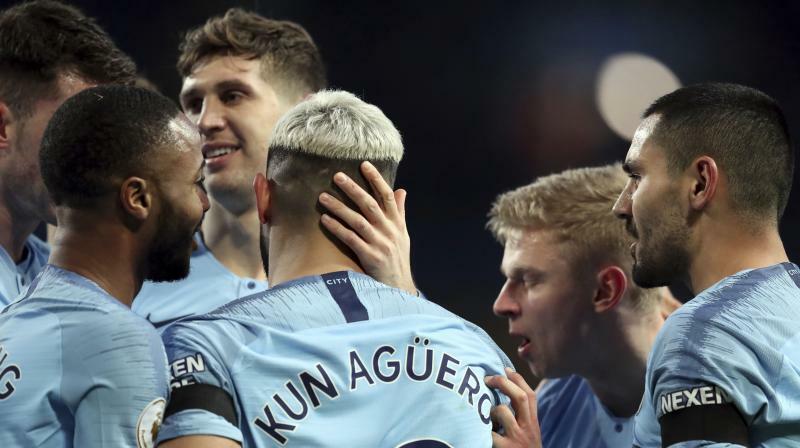 Manchester: Manchester City’s on-fire striker Sergio Aguero struck his second hat-trick in a week as the champions ruthlessly destroyed woeful Chelsea in a 6-0 win at The Etihad on Sunday to return to the top of the Premier League. Aguero, who scored a hat-trick seven days ago against Arsenal, has equalled Alan Shearer’s record of 11 Premier League hat-tricks and is now joint top scorer in the league this season with Liverpool’s Mohamed Salah.